Update April 2019: WE’RE STILL HERE! Here’s why Save Madison Valley is still working to oppose the current plan for developing the City People’s site—including on April 10th filing a lawsuit, a land use petition act appeal (LUPA appeal), in King County Superior Court. And here’s why the Design Review process in Seattle is seriously flawed. Developer and architect present a plan at Design Review. The community is invited to offer input, and the Board approves the design. Except, community input of any substance is not legitimately considered (in our experience). And no wonder: the unpaid, all volunteer Design Review Board has responsibility, but one could argue no real authority. Projects arrive with volumes of information (remember the unpaid part? When is there time to read the extensive project plans—not to mention community letters?). Board members change from meeting to meeting, insuring no continuity. Some are architects themselves, perhaps with a project of their own to get through design review. These are not the people to tell a developer to reduce the scale of a building, decrease a garage, or move a wall to save an exceptional tree (in other words, to tell a developer to decrease his or her profit). The board punts to the next stage: Project Approved-- pending the SEPA review process. Yes, the project was found to have to no significant adverse environmental impact as our City applies SEPA (State Environmental Protection Act). But here’s how SEPA currently fails to protect our communities. According to SEPA, any project that will have a significant adverse impact to the environment requires first, a study of the impacts (an Environmental Impact Statement—EIS), and second, mitigation of those impacts (in legal terms, lessen the damages). So you might wonder how a project that removes a hillside of exceptional trees, on a critical slope, in a liquefaction zone, with a history of flooding, for example, doesn’t trigger this process. If you step back far enough, however, and look at the entire City, it’s all about perspective. For example, would a wall of high rises around Bert’s in Madison Park not have a significant impact? With this logic, no single project is large enough to be considered “significant.” While the example may be extreme, this is the outcome of how SDCI currently applies SEPA (to the benefit of developers). Our City can become covered in concrete, one neighborhood project at a time, yet never trigger a SEPA review. Each “small” project fails to be significant when measured by the impact to the entire City. Yes, the Hearing Examiner did not remand the project for traffic, trees, or size. And here’s why “deference to prior decisions” in legal terms encourages bold grabs by developers and bad decisions by the City. A developer has an incentive to build as tall, and as far out to the edges of any site, as possible--good business practice, if the goal is to maximize profits. However, without the addition of City oversight (compared with City rubber stamping) over time there is a tendency to stretch, reinterpret, or just plain ignore regulations and laws (and aesthetics!). This becomes the new standard. The generous green light that projects currently receive at the outset sets the stage for a lot of bureaucracy for developers, but few actual limits on their developments. If you’ve wondered why our city is increasingly dominated by Lego-style buildings, built out to every buildable inch of space, why there are fewer big old trees, why neighborhoods have oversized boxy homes towering over older homes, and why there is a glut of high-end apartments and increasingly fewer older, affordable housing options, these are some of the reasons. Seattle has become the land of opportunity for developers, while decreasing the quality of life for the people living here. Originally published December 6, 2017 at 1:03 pm Updated December 6, 2017 at 1:17 pm. 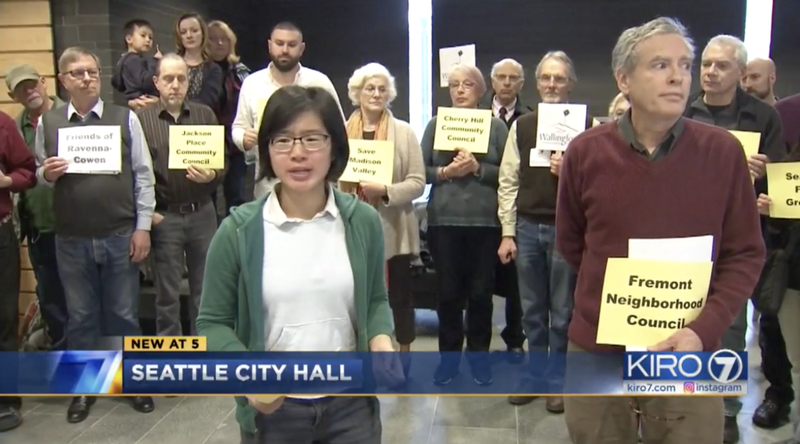 Why more than two dozen community groups from across Seattle are filing a legal appeal, claiming the city’s environmental impact study on HALA was woefully inadequate. awareness of what it means to be a community, and why that’s worth defending. land use attorney will make our case before the Hearing Examiner. Join us in the fight. All of us together can make a difference in our neighborhood. Pat Murakami, who is running for position 9 on the City Council, participated in our community meeting this afternoon. We discussed the proposed development with her and gave her a tour of the neighborhood. She was an energetic and thoughtful participant and we were glad she took the time to join us. She is very interested in listening to what people have to say and would like to meet with other neighborhood groups. Thanks Pat! What an amazing community we have! Speaker after speaker got up on Tuesday evening and shared their thoughts, wishes, concerns, anger, and frustrations about the development proposed for the City People’s site with city officials. The City sent four representatives who listened carefully and took notes. Both SDCI and SDOT were represented. People passionately highlighted the myriad difficulties with the project: the loss of tree canopy, the lack of buffers, the overwhelming size, and the dramatic traffic impact. People also offered suggestions and ideas to improve the project. A number of people repeated clearly that as a community we don't oppose development and would welcome an appropriate development for this site. The City Planner advised us that we could expect a decision about whether the permits are granted some time in the next months. Remember: there will be a final Design Review Meeting with the Design Review Board in the coming months. Watch for notice about when and where. That will be the next opportunity we have as a community to attend a public meeting and speak out about this project. We made an impact last night – please plan to come and do it again. I've been following a discussion on a Land Use Forum about why homes and rentals in Seattle are becoming more and more expensive despite the frenetic level of construction. I came across an interesting analysis written by a Seattle Times staff columnist Brer Dudley. Here is an excerpt. "Seattle should reconsider policies based on the false assumption that this is a simple supply and demand problem. The supply of various types of in-city housing will always be limited and demand is practically unlimited, so supply and demand will never even out. Yes, growth in apartment rents is expected to moderate and vacancies will increase as new units become available over the next few years. But the city will always be relatively unaffordable as long as it's economically strong. Yet we still cling to promises that it will get better "if only we build more, more, more!" At what point will the city pause and assess whether its "build baby build" policies work as promised for renters and buyers (vs for developers and politicians they support ...) and their downsides?" What's next for the proposed City People's development? On Wednesday, January 25, the Design Review Board passed the proposed City People’s development on to the next phase, completing the early design guidance phase. Those of you who were there know that the community turned out and spoke up. People were eloquent, informed, and clear about their concerns and wishes for this project. With an extensive “to-do” list the Board gave the developer a green light for this step. The most important thing to know at this point is that nothing is a done deal yet, and there’s still a place for community input. Lots of folks are wondering what’s next. Here are some of the big questions, and the answers we’ve found so far. Q: If the Board gave a green light doesn’t that mean they’re satisfied and we can’t really expect much change now? Q: Well, sure, that’s nice. But how can we expect any changes if the design review is over? A: Some aspects of the design haven’t even been decided yet. For example, the Board passed on giving an opinion whether the entrance should be exclusively on Madison, or split between Madison and Dewey. 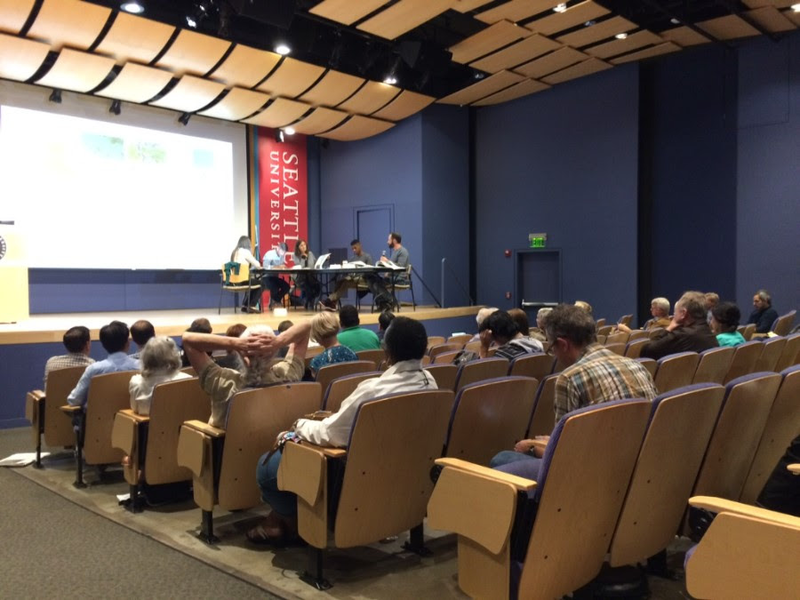 They said they wanted more traffic data and they wanted to hear from SDOT (Department of Transportation). The Board can’t get that data and SDOT can’t weigh in until the project moves out of the early design guidance phase. That was one of the Board’s reasons for punting the project on. They wanted input from more sources. A: In the coming weeks the applicant will file an application for a Master Use Permit (“MUP”). First they have to finish a check-list of things – completing early design guidance was just one of those things on their list. The City will let us know when the application is filed – one of those giant white boards you’ve seen around town on construction sites will suddenly show up in front of City People’s. Q: What happens after the developer applies for a Master Use Permit ("MUP")? A: That begins a two-week comment period for any interested parties (all of us!). That’s when the community can make comments (by letter) about any concerns related to water, trees, slope, height, mass, code compliance, traffic… All the stuff we weren’t suppose to bring up in design review (e.g., traffic), but also some of the things that have been discussed in design review but are still relevant at this phase (e.g., height, bulk, and scale). The focus is no longer design of the building, but now aspects of the project that impact the environment. Q: This sounds a lot like SEPA. Are MUP and SEPA related? And what’s SEPA anyway? A: SEPA stands for State Environmental Policy Act. And yes, they have a relationship. Once the MUP comment period ends then the City begins a SEPA review – looking at all the potential environmental impacts a development will have. The City can assert their authority and put limits on a project if they decide the potential environmental impact should be mitigated. Q: You said that they’ll be looking at traffic now, but the design review already approved a garage for 150 cars and a six-story building! If the development process were really that backwards in Seattle – designing a building before evaluating the environmental impacts -- we’d end up with a lot of oversized buildings around town, and probably some terrible traffic messes, and – Oh…. Oh, I get it now… never mind. A: In short: there’s still lots to do to help our community grow in a way that increases the beauty and vitality of Madison Valley. The third Early Design Guidance meeting for the Velmeir development took place last night. The Board heard from the architect and the community. They praised the architect’s efforts, but had a laundry list of items that still need to be addressed with the building. Nonetheless, they said the proposal could move on to the MUP (Master Use Permit) phase. This didn’t seem to be as much about the achievements of the design, as that the Board wants more information about aspects of the project (e.g., traffic impacts to the neighborhood) which they can only get from the MUP phase and SEPA (State Environmental Protection Act) which now will follow. The Board also stated that they would like to see several options for the proposal to address the outstanding issues including massing, depth of modulation, and better relation to the neighborhood. 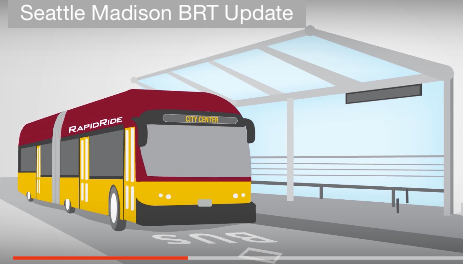 What does that mean for Save Madison Valley and the greater community? Our work continues. It’s not over by a long shot. There’s room for community involvement and input during this very important time when issues like water and traffic are more closely studied and the developer’s reports will be evaluated. We’ll be consulting with our attorney and architect consultant and will let you know the next steps soon. What else? Our disappointment in the Board’s decision to pass this project on at this point is mitigated by our gratitude to the greater neighborhood for your involvement. It was a great turnout and a very impressive presentation from folks: you were thoughtful, informed, passionate, and creative in your feedback to the Board. What an amazing place to live – and we’re going to be working to keep it an amazing place to live. We look forward to continuing to work with you to Save Madison Valley. The city needs your feedback! The city is requesting your feedback about the proposed development on the current City People's site. The height, bulk and scale of the building are still too big. The setbacks are too small to grow full-sized trees to maturity. The building is over 70 feet tall on Dewey (zoned 40') and is out-of-character with the neighborhood. No exceptional trees are saved. There is still a blank wall on Republican. Please add a community space on Madison, as the public has repeatedly asked for. The garage entrance on Dewey will ruin the pedestrian-friendly character of Dewey and the surrounding streets. The above link will open an email to the city referencing project number 3020338. Feel free to write your own letter, or to submit this example letter written by Save Madison Valley. JOIN US IN PERSON: The large community turnout for the previous two meetings with the city have shown the board how important this project is to Madison Valley. Let’s show the city, the developer and the architect that we are invested in seeing our neighborhood grow in a way that that preserves and enhances its livability and vitality. We'll see you at EDG #3 on the 25th! At the Second Design Review, the Board asked Velmeir and Meng-Strazzara to work with the community as they incorporate the Board’s guidance in preparation for the third Design Meeting. We reached out to Charles Strazzara and Geza De Gall and invited them to meet with some of us. ● If the current tree canopy can’t be saved, we asked that any replacement provide habitat for small animals and insects, intercept rainwater, have large and smaller native trees and plants, and provide understory for foraging. This language was provided by ecologist Matt Patterson of Steinbrueck Urban Strategies, who suggested that we move the discussion from numbers to function or service – he suggested we look for any replacement to be ecologically responsive and maintain the current link to the larger urban forest corridor. ● A minimum of a 20-foot setback. While one could argue the bigger the better, Patterson felt this is sufficient to create an ecologically responsive landscape that maintains urban ecological functions, and benefits the neighborhood. This is also the standard used in residential neighborhoods. ● The garage fully underground on all sides: no one should have to see it, smell it, or hear it. ● No entrance on Dewey. Traffic engineer Ross Tilghman strongly questioned the viability of putting traffic from 70+ residences on the small, oddly configured streets of Dewey, Republican, 29th, 32nd, and the surround. Strazzara and De Gall listened, but repeatedly emphasized that while they are listening to the community, they will take their guidance from the Design Review Board. At the October meeting the Board asked that the developer offer an option that has residences on Dewey; Strazzara and De Gall said they will offer that as one option at the EDG on January 25. Their next design will be available on the City’s website ten days prior to the EDG meeting on the 25th. Strazzara and De Gall said this design is different from the first two in substantial ways. We’re waiting to see and will be looking closely. I moved here twenty years ago because my husband insisted upon living in the "core area". Well he was right. Love living here in Madison Valley. Love being so close to the Arboretum and having such easy access to downtown Seattle. Love having had a "reverse commute" for several years. Especially love the walkability of Mad Valley and surrounding areas. Love the wide variety of home styles and sizes and people styles and sizes too. All kinds of interesting people and no snobs! Hope it stays this way through all the growth and development. Having participated in the proposed PCC Market building’s early design guidance process, I was impressed by how effective citizen’s voices could be in shaping neighborhood development. On the other side of the coin, residential building is rapidly changing our community, largely without local review or input. This is happening in my neighborhood, as it is in many neighborhoods across Seattle. One of our neighbors was displaced earlier this year and his home was sold. The developer who bought the home plans to demolish the small, quaint Craftsman and remove the 1,540 square-foot green canopy, which includes mature apple, cherry and plum trees. He also plans to combine the storm and sanitary water outflows. Combined sewers are strongly discouraged by the Environmental Protection Agency because overflow events—also known as combined sewer overflows, or CSOs –expose residents and the environment to raw sewage/pollution. Our neighborhood is also prone to internal water backups. Many of us in the area remember the tragic drowning of resident Kate Fleming, whose 10-year passing is remembered this month. The proposed construction is very different from all other buildings on our block face. The front wall will begin only 20 feet in from the property line and will rise 40 feet in elevation. It will sit on a lot smaller than the average property size, yet will be taller and more massive than every other building. Compared to its northern neighbor that sits on a 50 percent bigger lot, the new building is two stories (20 feet) higher, more than twice the length (over 50 feet), and has three times the above ground living area (3,650 square feet). The end result will present a 1,500 sqare foot, largely blank wall that will cast a deep shadow over its neighbor for most of the year. The design does not follow Seattle residential design principles of preserving qualities of the neighborhood (reinforcing open and green spaces), matching the height, volume and character of surrounding buildings (which are mostly in the American Craftsman and bungalow styles). What is the purpose of publishing these guidelines if they go unenforced, and are so misaligned with the profit-driven motives of developers? If Seattle is serious about offering affordable housing, is it socially responsible to take a relatively affordable home off the market and replace it with a gargantuan box priced $1.5 million or more? The building process is difficult for neighbors and little is done to mitigate that difficulty. During the first eight months that the property was acquired by developer/Realtor Wilcynski, it was neglected to the point of being an overgrown eyesore that became a rat harborage. Hundreds of falling apples and plums were left rotting throughout the summer and fall, providing an ample food source to rats that now have started spreading to neighboring lots and present a public health threat. Soon demolition will commence, followed by many months of noisy and dirty construction. For as long as anyone lives in my house, it will be in the shadow of a monstrous, rectangular box that diminishes the open and green qualities of our neighborhood. The negative impact to public safety (flooding, slides, construction), health (rats, debris), environment (pollution, combined sewage overflows, destruction of trees), housing accessibility and quality of life should outweigh any profit-driven motive. Given the developer’s track record and the sensitivity and history of Madison Valley, it is a dangerous mistake to inflict this insensitive, big-box development upon our environment and our residents. Early this Spring Madison Valley learned that the property City People’s Garden Store sits on was being sold. The first players we were introduced to were the developer, Velmeir, and the architect, Meng Strazzara. We all waited in anticipation to learn who the anchor tenant would be. And then the announcement came: PCC was coming to Madison Valley. Some people were happy: organic produce around the corner! PCC deli take-out for dinner every night! Others were worried: what about Bert’s Red Apple? Essential Bakery? What about the traffic? Many landed in the middle – neutral about the tenant, but very much focused on this new development coming to our neighborhood. On May 23rd we sent a letter to the CEO, Cate Hardy, and to long-term Board member Carol Binder, explaining who we are and asking to meet with them to talk about our concerns and enlist their support in advocating for a more responsible and more conscientious design. CEO Cate Hardy and Carol Binder agreed to meet with us June 17. At that meeting Ms. Hardy told us that PCC was not involved in the design of the project, and that our concerns belonged with the Design Review process. Ms. Hardy also said she would pass our concerns on to the developer and architect. On June 27 we sent an open letter to PCC addressed again to the CEO as well as all of the Board members individually. We wanted to be sure that the entire Board was apprised of the concerns that many in our community have, and some of the specific ideas we hoped they would help advocate for: a smaller footprint, reduced parking, affordable housing for families; preservation of the tree canopy. There was no response to our open letter of June 27. After the first Early Design Guidance meeting on July 13, we again reached out to PCC. In a letter dated July 22 we sent a copy of our presentation to Ms. Hardy asking to meet. We told her of the Design Board’s unanimous support, and conveyed that the Board had suggested PCC be involved as the developer and architect work to incorporate the changes that were recommended. Ms. Hardy declined to meet with us. On July 30th Save Madison Valley wrote an open letter describing one vision of what responsible development for the City People’s site might look like. We sent copies to PCC’s CEO, Board members, as well as the developer, architect, and still current owners of the property. On August 7th we sent another email, again asking Ms. Hardy to meet with us. We addressed the apparent contradiction between Ms. Hardy’s claim that PCC is not involved in the design, and that the first floor, entryway, and garage are designed to PCC’s specifications. The text of the comments we made at the PCC Board meeting on September 27 is available here. There was no reply from Ms. Hardy, or any of the members of the board, at that meeting, or in the time since. We still hope we can engage PCC in a dialog about the unique qualities of this site and this neighborhood, and that they will use their influence as the anchor tenant to make this building one that aligns with PCC’s values of commitment to high quality, accountability, sustainability, and environmental conscientiousness.